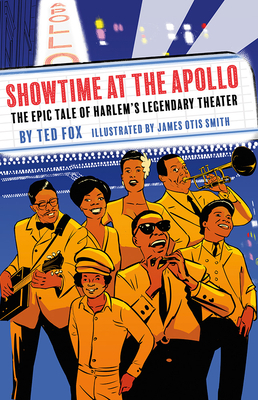 Ted Fox is the author of Showtime at the Apollo: The Story of Harlem’s World Famous Theater—the definitive and only full-scale history of Harlem’s legendary showplace. He lives in Manhattan and in Dutchess County, New York. James Otis Smith is a multi-talented artist whose work spans illustration, comics, motion graphics, and video. Formerly a member of the Act-i-vate Comix collective, he designed and illustrated the children’s book Ancient Lands with writer Jason McCammon, among others. He lives in Brooklyn, NY.